From Kipper creator Mick Inkpen and top illustrator Nick Butterworth, this cosy favourite celebrates the timeless tradition of school nativity plays. Sam and his sister can’t wait for the Christmas play. Tracy is an angel, and she feels so beautiful in her halo that she wishes she had a magic wand as well. Animals, shepherds and wise men are all flocking onto the stage. The audience can see dozens of glowing little faces. But will everything be alright on the night? 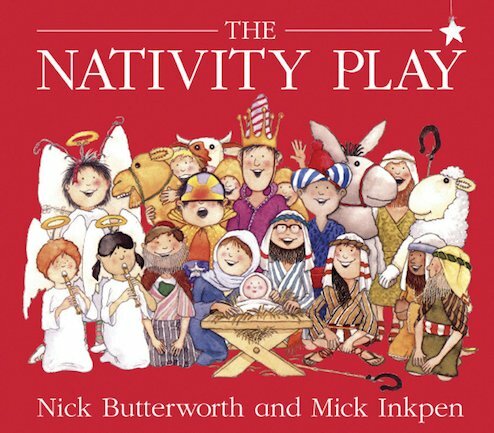 This much-loved classic celebrates all of you who perform Christmas miracles with wire coat-hangers and stripy towels!